GreenLight provides clinical and financial value to providers by simplifying the process of identifying and monitoring behavioral health conditions. Easy to administer with immediate results. Immediate, actionable reports easily imported to your EHR. Little to no disruption to workflow. Reimbursable by Medicaid (varies by state), Medicare and most private insurers, adding new revenue to the practice. Physicians can now test patients as part of a standard office visit to establish a baseline for each patient. Accurate and complete documentation inside GreenLight protects your practice in case you face an audit or litigation. Tests are covered by most insurance, bringing the potential for new revenue from both testing and treating in your practice. By implementing behavioral health assessments at the “frontline” of the healthcare system, both providers and patients are empowered with the knowledge and resources to set a path towards wellness. 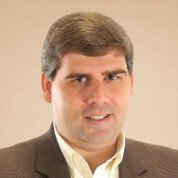 GreenLight flows seamlessly with your practice workflow, offering a solution for any practice. 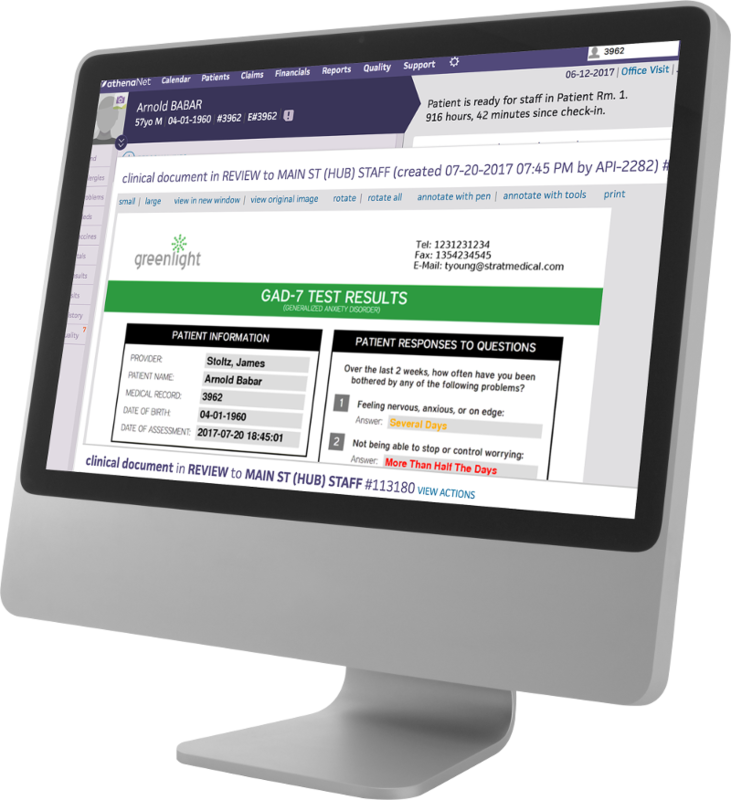 GreenLight makes it easy on the practice by transferring the work of administering the test from the office staff to the patient. 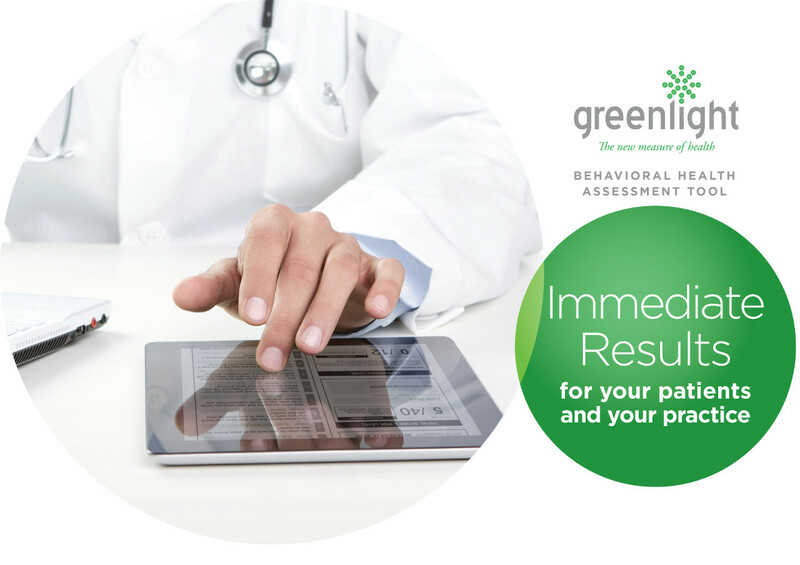 Many clients choose to use the GreenLight Behavioral Health Assessment tool as part of their existing practice workflow. 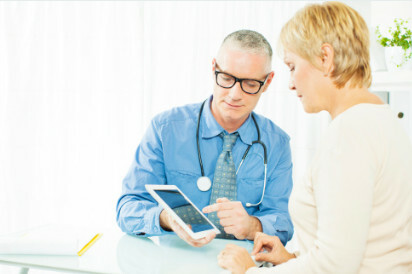 With a standard implementation, results of the assessments are easily imported to your EHR. Automatic download of your athenahealth schedule into GreenLight. Discrete score results from GreenLight to the patient’s chart. Results are automatically available within the encounter. 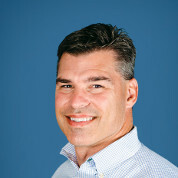 Kevin P. Spencer, MD is a family practice physician leading a large independent practice, Premier Family Physicians, in Austin, Texas. Dr. Spencer and his care team utilize the GreenLight system and are advocates for the integration of medical and behavioral health care. To request a demo or provide feedback, use the contact form below. Alternatively, call us at (866) 602-1778.